GitHub - macacajs/XCTestWD: A Swift implementation of WebDriver server for iOS that runs on Simulator/iOS devices. Want to be notified of new releases in macacajs/XCTestWD? Swift implementation of WebDriver server for iOS that runs on Simulator/iOS devices. This project follows the git-contributor spec, auto updated at Thu Mar 28 2019 09:09:46 GMT+0800. When you have some existing XCTestWD instances running and creating new ones. verify whether ideviceinstaller and xcrun is properly working on your device and simulator. 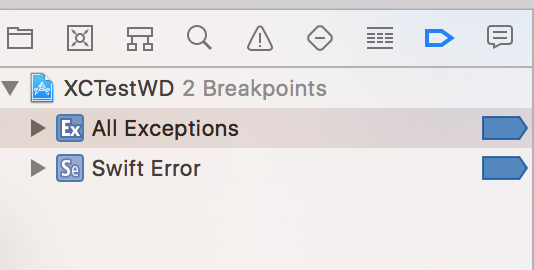 When you have started the XCTestWD instance properly but fails in middle of a testing process. See the Macaca Service log to checkout which command leads the error. With detailed and comprehensive log information, please submit an issue to us. 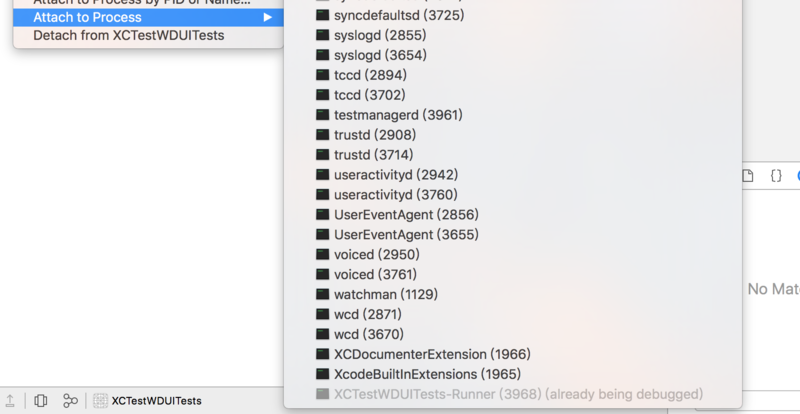 If you cannot get anything from macaca server log, open the XCTestWD in your node installation path and attatch for debugging on process 'XCTRunnerUITests-Runner'. You can use xcrun simctl list to get the id of the booted device. user PATH variable MACACA_XCTESTWD_ROOT_PATH to override the default one. We update dependencies by using other npm packages, because the XCode upgrade swift syntax is often not backward compatible.